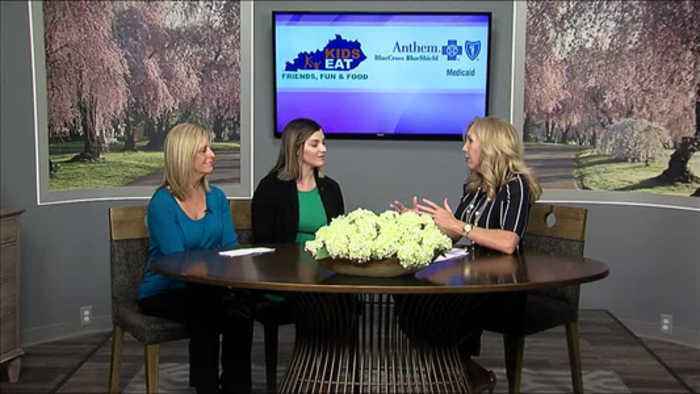 One News Page United States > News Videos > KY Kids Eat & Anthem Medicaid team up to fight hunger! KY Kids Eat & Anthem Medicaid team up to fight hunger! C1 3 we're talking about ky kids eat and anthem medicaid...two organizations that are fighting hunger for local kids welcome guest: kate mcdonald, rhonda petr company: ky kids eat and anthem c1 3 dicaid topic: ky association o talking about how children during the school year for the lunches to be paid for happen for these children in the summertime when they're no longer in the school getting a provided lunch type of program worried about the two so personable children are going without food over the summers like that, and kids are we talking about about 230 (the and kentucky which is about one in five children are food insecure exciting the in the always northern coming find out is much greater than insecurity like you kids emails school another getting a there is only one in 12 children in kentucky jeffrey lynch are back festering number 46 in terms i've participation in 75 g really is that unfortunate need as far as for the children have to go without food like your organization is really driving to achieve is to get these kids dad over the summer time and keep that program going so very that the wonderful programs now also the 20 that the wonderful programs now also the $20,000 grant that anthon medicaid has provided talk to us about this is is a weight and that you done thank you we are so fortunate t be able to work with an organization that like a then have it it it support it is money to help with that summer sponsors we arrived in richmond and little bit about that is food service program anaximander the of education in that spot you do you me your out there that we can natively actually you the life estate kentucky you really i really the urban areas are feel like the book of faith to go to cna to get food you is is the you to go and talk off meals for kids in the summertime for the and 32nd actually stay on the federating can what to come get me also have access to go to their school directors melted down amazing finds her the response is extended to the you know how to get ms in that's why the funding is so important right i hunger is medius it foldable problem and no child should eve go without food and we think about everything that they go t school there provided meals there but when they go home in the evenings or on weekends or in-service days when you're jus not at school just is not available sometimes the family let me ask you this rhonda how can organizations other organizations getting called on to help provide funding for this type of program what can they do that and it on the website k kids eat.org you can dictate which i start simers opportunities so that the sponsors i to working with you turn time for cad okay and awareness is key because people don't know is you don't know about this program you i community sponsors donated to be the ones writing the one area where where really saying what is really needed working with like the file campaign and little relation like iris can really help peopl identify where the largest he had not been working with and so incredible i you you is a public health issue and dad we know that hunger in poor health are intimately connected and easter kentucky a lifetime if one is 40% of the children here kentucky are obese or overweight can be connected to cougar desk because of not eating the proper i reading something is certainly not nearly the best that they could be eating for her for their overall health right, let's talk about also help other people can get involved like that kind of volunteers working volunteers d actually with your organization to help me i hunters throughout the state to meet volunteers help executing the meals or time serving the meals are working i the middle miller out on to get the field.